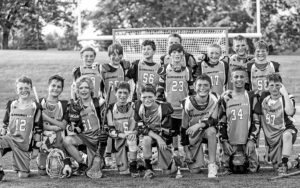 The Elmhurst Lacrosse 10U boys team recently won the IBLA title with a victory over Fox Valley. Elmhurst went 3-0 in the IBLA playoffs en route to the championship. Team members include, Back row (left to right): Jack Paschen, George Redfearn, Hunter Hanselman, Socrates Kapotas, Josh Venzor, Shane Trainer, Dean Kemph, Jack Lotito. Front row: AJ Olson, Mickey Schermer, Charlie Malcolm, Kade Imburgia, Trevor Rice, Jackson Nesheim, Simon Kodosky, Drew Pettorelli. The team was coached by Jason Nesheim. 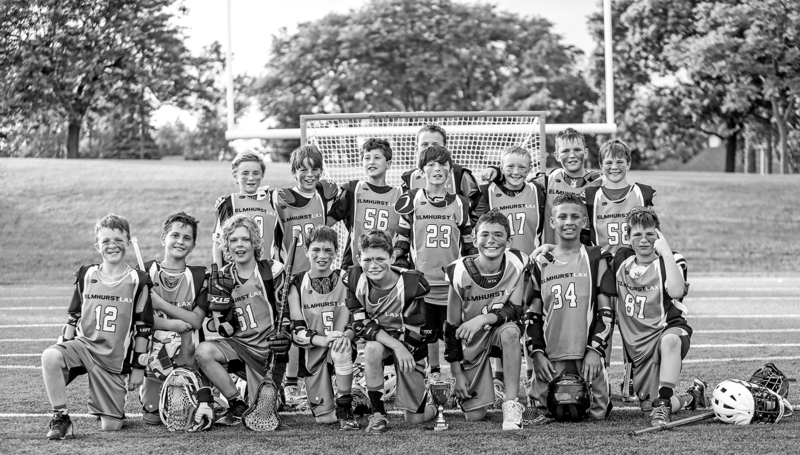 The Elmhurst Lacrosse 10U Titans team recently capped off its season in style. Elmhurst won the Illinois Boys Lacrosse Association championship (statewide playoffs) with three victories over Tinley Park, Lake Zurich and Fox Valley. Elmhurst, whose team is comprised of fourth-grade players, kicked things off in the playoffs with a 5-4 win against the Tinley Park Bulldogs and then defeated Lake Zurich Blue 6-3 before downing Fox Valley No. 3 by a 6-4 count to win the IBLA championship in Glen Ellyn. Team players include Jack Paschen, George Redfearn, Hunter Hanselman, Socrates Kapotas, Josh Venzor, Shane Trainer, Dean Kemph, Jack Lotito, AJ Olson, Mickey Schermer, Charlie Malcolm, Kade Imburgia, Trevor Rice, Jackson Nesheim, Simon Kodosky and Drew Pettorelli. Elmhurst played eight league games, the May tournament and then the playoffs.